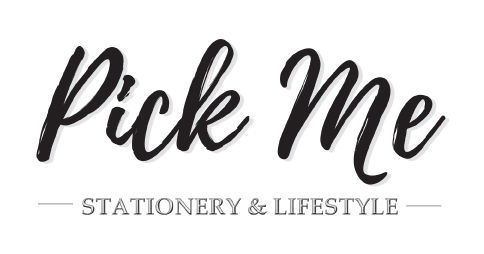 Welcome to Pick Me - Stationery & Lifestyle Store! This store is managed by Pick Me team from Malaysia, powered by EasyStore.co. If you continue to browse and use this web site, you are agreeing to comply with the terms and conditions which governs your relationship with Pick Me and EasyStore.co. as may be updated by us from time to time. You are advised to review this page regularly to take notice of any changes we may have made to the Terms of Service. The content of the pages of this website is for your general information and use only. Access to this store is permitted on a temporary basis, and we reserve the right to withdraw or amend the Services without notice. Every effort is made to keep the store up and running smoothly. However, we take no responsibility for, and will not be liable for, the store being temporarily unavailable due to technical issues beyond our control. We will do our best to provide quality service and products for all customers. However, there will be some circumstances which may beyond our control and will need your kind understanding and co-operations. Dispatch times may vary according to availability and subject to any delays resulting from postal delays or force majeure for which we will not be responsible. Delivery costs will be charged in addition according to weight depends on different service providers; such additional charges are clearly displayed where applicable and included in the checkout page, unless there are any promotional events for customers according to each terms and conditions apply. All goods ordered will be shipped by using registered mail or courier service, any damage, loss or faulty during delivery which beyond our control will not be under Pick Me&apos;s responsibilities. The goods will be verified by the QC team and will be packed in good protection before delivery. Product image (color) as seen on the site may slightly differ from the actual product due to the calibration differences between computer monitors, tablets, phone display and etc. Therefore, you are advised to read through the descriptions provided in the product page before purchase. All goods sold are not refundable and exchangeable, unless there are any exceptional cases upon the approval of the Pick Me&apos;s management. Please refer to the "Return & Exchange” page for more details. Kindly contact us should you need further assistance before and after placing order. While using our web store, we may ask you to provide us with certain personally identifiable information that can be used to contact or identify you. Personally identifiable information may include, but is not limited to your name ("Personal Information"), birth date, address and email address. We may also use your personal information provided to contact you with newsletter, marketing or promotional materials. We are not responsible for the breach of our privacy statements or other content on websites outside beyond Pick Me’s knowledge and responsibilities. You will not misuse this website; commit or encourage a criminal offense; transmit or distribute a virus, Trojan, worm, logic bomb or any other material which is malicious, technologically harmful, in breach of confidence or in any way offensive or obscene; hack into any aspect of the Service; corrupt data; cause annoyance to other users; infringe upon the rights of any other person&apos;s proprietary rights; send any unsolicited advertising or promotional material, commonly referred to as "spam"; or attempt to affect the performance or functionality of any computer facilities of or accessed through this website. The intellectual property rights in all software and content (including photographic images) made available to you on or through this website remains the property of Pick Me or its licencors and are protected by copyright laws and treaties around the world. All such rights are reserved by Pick Me and its licencors. You may link to our web store, provided you do so in a way that is fair and legal and does not damage our reputation or take advantage of it, but you must not establish a link in such a way as to suggest any form of association, approval or endorsement on our part where none exists. Except where expressly stated to the contrary all persons (including their names and images), third party trademarks and content, services and/or locations featured on this website are in no way associated, linked or affiliated with Pick Me and you should not rely on the existence of such a connection or affiliation. Any trademarks/ names featured on this website are owned by the respective trademark owners. Where a trademark or brand name is referred to it is used solely to describe or identify the products and services and is in no way an assertion that such products or services are endorsed by or connected to Pick Me. You agree to indemnify, defend and hold harmless Pick Me, its directors, officers, employees, consultants, agents, and affiliates, from any and all third party claims, liability, damages and/or costs (including, but not limited to, legal fees) arising from your use this website or your breach of the Terms of Service. Pick Me shall have the right in its absolute discretion at any time and without notice to amend, remove or vary the Services and/or any page of this website. We thank you for shopping at Pick Me and hope to see you again!